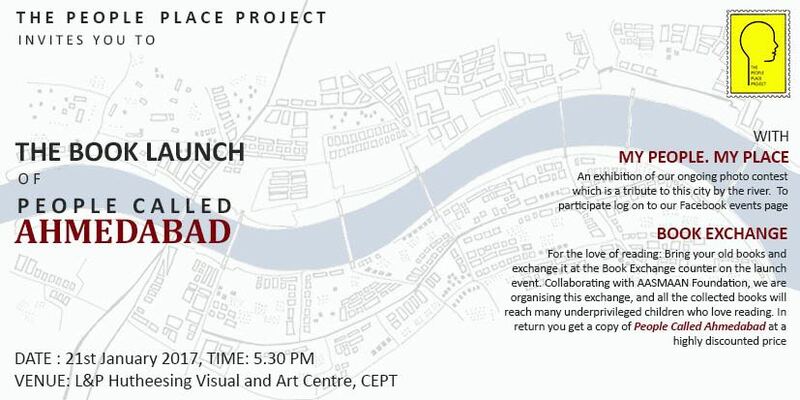 People Called Ahmedabad – The book launch. It has taken more than a year of research, seventeen authors who have sifted through the diverse layers of the city to create this anthology of 55 stories of Ahmedabad and Amdavadis. The launch event will celebrate the process and plurality of the book and invariably the spirit of Ahmedabad! It is free for all. For the love of reading: Bring your old books and exchange it at the BOOK EXCHANGE counter on the launch day. Collaborating with AASMAAN Foundation, we are organising this exchange, and all the collected books will reach many underprivileged children who love reading. In return, you get a copy of PEOPLE CALLED AHMEDABAD at a highly discounted price!